This entry was posted in Uncategorized on March 16, 2016 by successstories. Johnny Depp plays Whitey Bulger in Black Mass this month. Before Whitey Bulger was the head of The Winter Hill Gang, it was run by the founder, Buddy McLean. 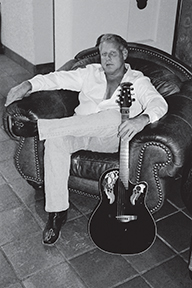 Michael McLean is the son of Buddy McLean and wrote The Irish King of Winter Hill. This book sheds light on this explosive period of history that happened on the streets and docks of Boston fifty years ago. Says author Michael McLean, “I have read all the books and the information on the Internet about my father, and most of it is wrong. After talking to his closest friends, I decided I would set the record straight.” The book outlines the rise of Buddy McLean from his humble beginnings as a hardworking truck driver, to leading the now infamous Winter Hill Gang, to his murder in 1965. For more information about Michael and his book, visit his author website. This entry was posted in Author of the Month and tagged Author of the Month, Author Success, Crime, Criminals, Organized Crime, sbpra, Top Seller on September 6, 2015 by successstories. Love Circles is a riveting account of sexual revenge and betrayal played out over twenty-five years in the lives of three men, friends who have managed to stay friends, and are now happily married. They meet at a newly built jazz club to reminisce on all the bad relationships they have had over the years, times when they were living in a vicious love circle of life. Yet they still remained loyal to each other, despite all the other friends who betrayed them over the decades. The three have triumphed over all obstacles by learning that God is the only one who really gets revenge. The story follows Lenny, Richard, and Nathan as they learn things the hard way when their lives were put in danger. Will they prevail? Charles Lee Robinson Jr. grew up in Rochester, New York, and currently lives in Clearwater, Florida. This is his first published book. His next is titled Dezirable. Find out more about Charles by visiting his Author Website. Love Circles is available for purchase on Amazon: Click HERE. This entry was posted in Author of the Month and tagged author news, author shout outs, author success stories, best selling authors, Good Read, Relationships, revenge, sbpra on August 7, 2015 by successstories. June 2015 Top Twenty Sellers! This entry was posted in Author News and tagged best sellers, best selling authors, best selling books, Good Read, sbpra, strategic book publishing & rights agency, top sellers, top twenty on July 31, 2015 by successstories. 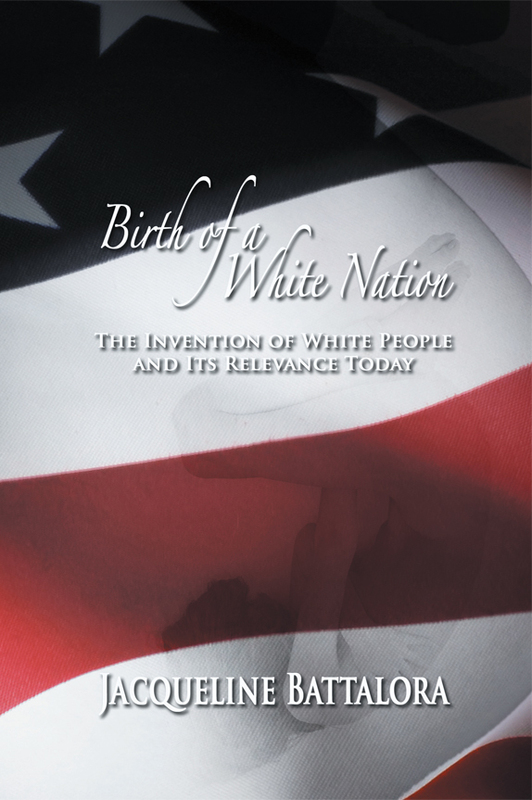 Racial Justice Book Group: Birth of a White Nation by Jacqueline Battalora – Author Speaks! social construction and legal enactment of “white people” has ultimately compromised the humanity of those so labeled. The evening will also include activities from the book White Awareness: Handbook for Anti-Racism Training. Free and open to the public. Location: Northside Presbyterian/St. Aidan’s Episcopal Lounge, 1679 Broadway, Ann Arbor, 48105. This entry was posted in Author News and tagged african americans, author news, author shout outs, authors, ethnic studies, sbpra, social science, strategic book publishing on July 12, 2015 by successstories. One day three children playing outside decide to take a rest under a big oak tree. As they drift off to sleep, little did they know that they are lying upon a path or “bridge” that the animals cross one by one, starting with the smallest. As parents read this book to their children at bedtime, they should mimic the animals walking across the bridge on the children’s bellies. Small ants tickle, frogs hop, porcupines poke, and the snake slithers; don’t move or he may bite! This is a wonderful way to bond with your children and send them off to sleepy land with giggles and tickles. It is also a unique way to teach children about different animals, their sizes and the sounds they make. Many times while playing Animal Bridge with my own children, I would let them pick the animals that came next over the bridge, even choosing the final ENORMOUS animal for the climatic ending. This could be a dinosaur eating them up, an elephant squishing them with kisses, or a beached whale flopping around and rolling all over the bed! Hooray for Animal Bridge! First-time author Wende Gripentrog is a graduate of Western Michigan University with a bachelor of science in organizational communications and psychology/behavior modification. Formerly she worked in public relations, special event planning, marketing, and fundraising. She now resides in Puerto Rico as an ex-pat with her husband of 23 years, and assists other families with relocation. 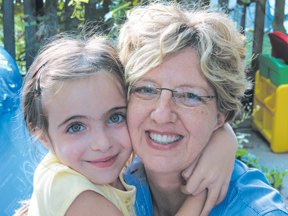 She is a homemaker to three beautiful children, who are the inspirations for the children in the book. Find out more about Wende by visiting her Author Website. Animal Bridge is available for purchase on Amazon: Click HERE. This entry was posted in Author of the Month and tagged animals, children, childrens books, early reader, imagination, preschool on July 7, 2015 by successstories. Guinea Pigs is John Hall’s 2nd book. He is also the author of A New Breed-Satellite Terrorism, a true story about satellite surveillance. 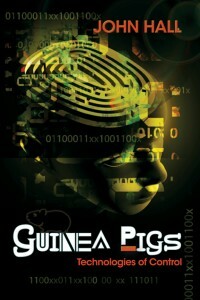 You can learn more about John and his book, Guinea Pigs, by visiting his author website. This entry was posted in Author of the Month and tagged author shout outs, best selling authors, conspiracy, Good Read, Great Review, Politics, scifi, thriller on June 30, 2015 by successstories. Congratulations to our best-sellers during the month of May! This entry was posted in Author News and tagged author shout outs, author success stories, authors, best selling authors, best selling books, May, strategic book publishing, top sellers on June 23, 2015 by successstories. Patricia Kristensen’s novel, “Jennifer Shot – Shot Through The Heart,” has been awarded a bronze medal in the category of Outstanding Book for the Region of Australia and New Zealand at the IPPYS. Pat Kozyra was featured in the prestigious STEM magazine (pages 42-50). Her article is about the formal method of Creative Problem Solving, which she learned at Buffalo State University. Read it here. She was also one of six invited panelists for the radio show called Backchat on RTHK 3, Tuesday, May 19, 2015 discussing the controversial topic of Tutoring and Summer School Classes for Children in Hong Kong. Click here to listen to this program. Kenneth Rogers Jr. participated in the Gaithersburg Book Festival on May 16th. Nancy Shiffrin, RD Armstrong and Don Campbell read their poetry and discussed literary community at The Los Angeles Public Library Palms Rancho Park Branch–Palms location on Saturday May 23. Gary Caplan’s, “Clues of Chaos,” was announced as an award-winning finalist in the Fiction: Cross Genre category in the 2015 International Book Awards. Noah F. Bunyan was awarded a Pinnacle Achievement Award in the Juvenile Fiction category. Lisa A. Dunn and Barbara Cerny were announced as finalists in the 9th Annual National Indie Excellence Awards. CEO Robert Fletcher accepted two Indie awards for Sherrill S. Cannon. These were awards for the Next Generation Indie Book Awards. “My Fingerpaint Masterpiece” was a Finalist in 2 categories! This entry was posted in Author News on June 1, 2015 by successstories. Congratulations to our best-sellers during the month of April! This entry was posted in Author News and tagged April top sellers, best selling authors, sbpra, strategic book publishing, top selling authors on May 26, 2015 by successstories.